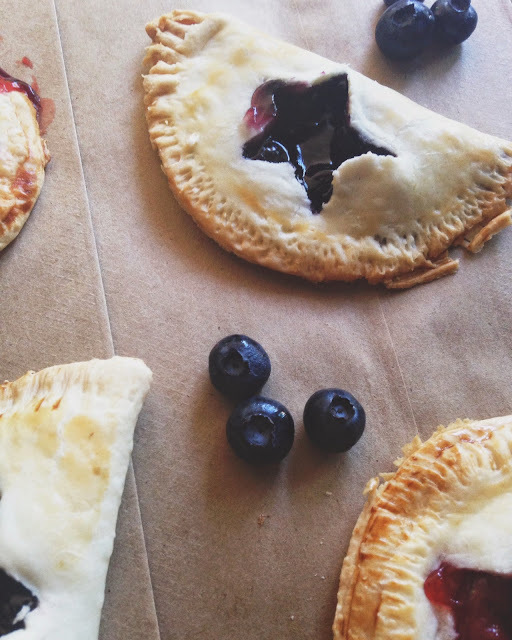 I have had these hand pies planned for weeks now, I am so excited to share them today. 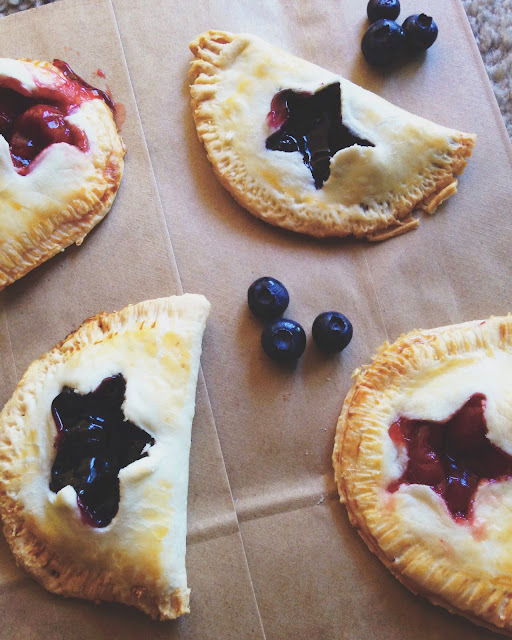 These hand pies are super easy to make and they are absolutely delicious. 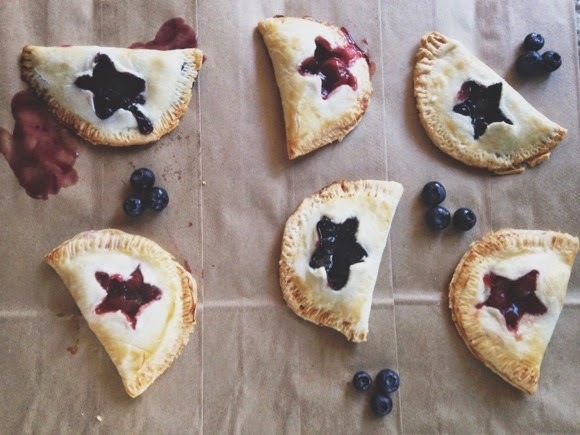 Pies to me are the epitome of America, and what better way to celebrate America's independence than with cherry and blueberry pies. I am taking these little pies to the beach with us today. Seaside, Oregon has a big July 4th celebration, with a parade, stunt kites, and a big fireworks display at night. I am so excited to celebrate July 4th at the beach with all of the treats I made. I go all out for July 4th. 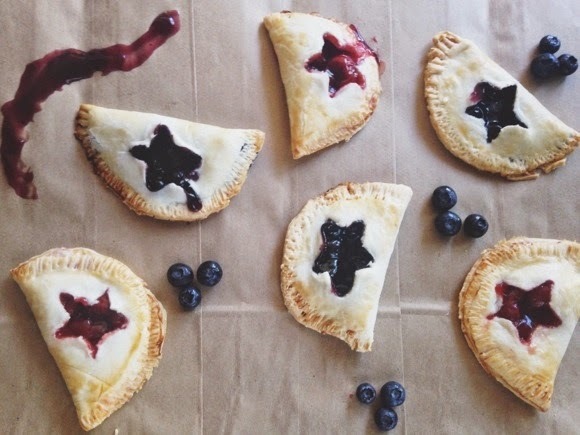 Again, these hand pies are really easy to make, they just take some time and patience to make. Preheat the oven to 375, and prepare a large cookie sheet covering it with spray oil or tin foil. 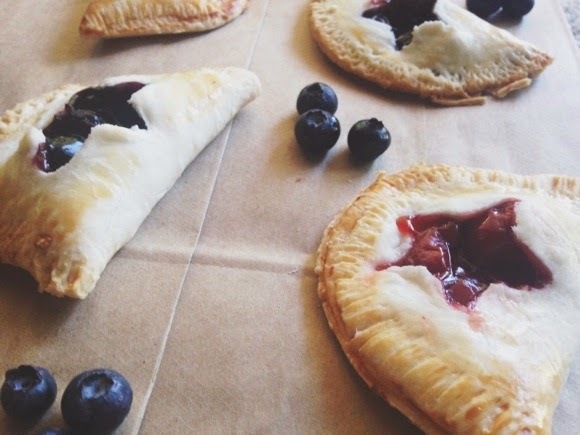 Next, begin unrolling the pre-made pie crusts on a pie sheet, or wax paper. 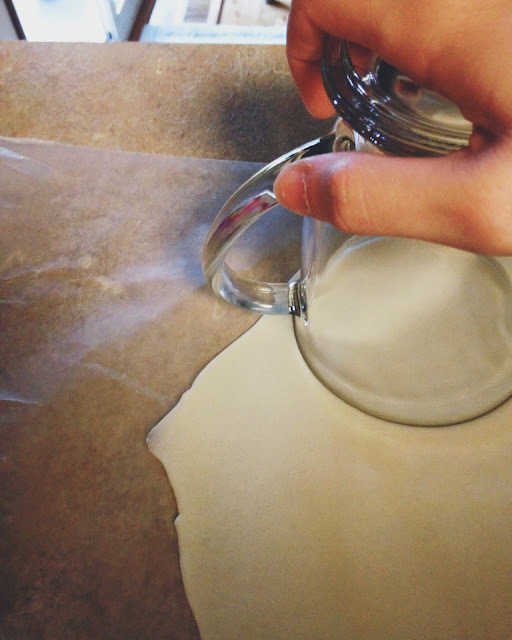 When it is unrolled, take a rolling pin and roll it out a little more. 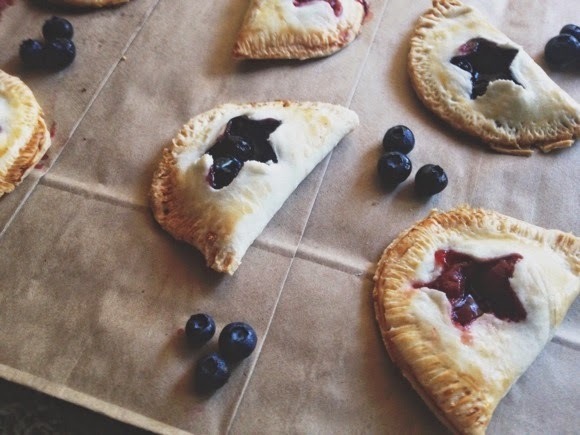 Take a cup or larger, circular cutter and cut out larger, circular pieces for the little pies. When the pie crust is cut into pie circles, take a pie circle and roll it out into an oval, but not too thin. 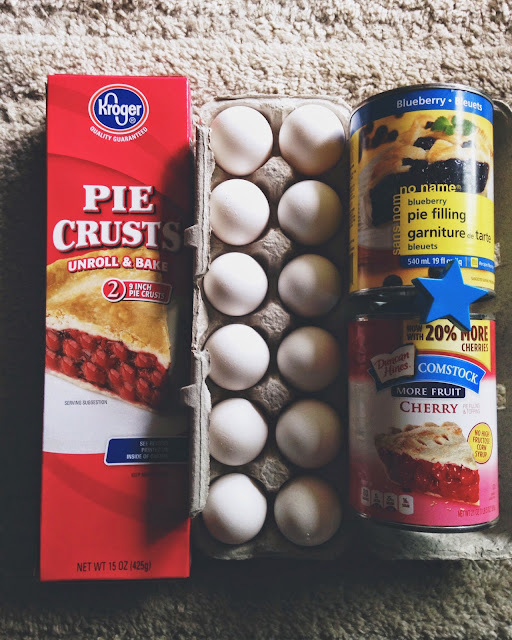 Next, beat an egg in a small container, you will use the egg to brush over the unbaked pies. 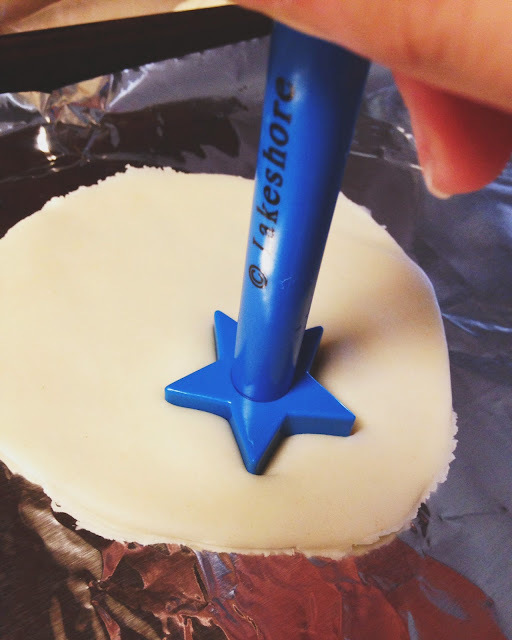 Now, place a pie oval on the prepared cookie sheet and use the cookie cutter to cut a shape out. I used a literal food stamp, you stamp the dough and it pushes it down. Take a spoon, and spoon about one TBspoon of berry pie filling in the middle of the dough, and fold over the top of the pies. 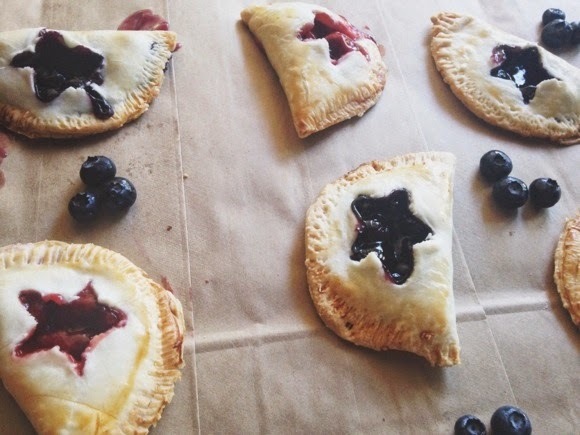 The berry filling should show through the shape. Take a food brush, and brush on the egg, then take a fork and press the edges down to close the pie up, and to give it a little pie design. Put it in the oven for 15 minutes. When they are done baking, let them cool off before eating, and enjoy! I am so happy with how these pies turned out!